Rahul Chhajed is an investment sales professional and specializes in the sale of healthcare and convenience store properties nationwide. With an emphasis on single tenant net-leased investments mainly in the outpatient sector, Rahul has worked with a myriad of clientele including Fortune 500 companies, physician groups, operators, developers, real estate investment trusts, private equity groups, and private investors. 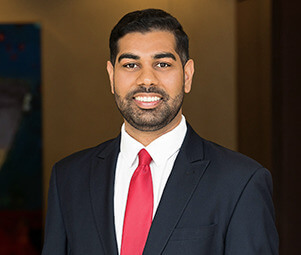 As a leader of the Matthews™ Healthcare Division, Rahul strives to provide top-tier advisory to his clients by maintaining unparalleled knowledge and specialization of the healthcare and convenience store industries.